. - Xit Sound Jock Sports Bluetooth Headphones Xit AXTBTHSJBK Bluetooth Sound Jock Sports Headphones feature in-ear monitor design. Panasonic - RP-HT360 HT360 Monitor Headphones with Single-Side Whether you're working on music movies or news these headphones have large-diameter drivers for your comfort and offer the professional-style features you need including a single-sided monitoring system. 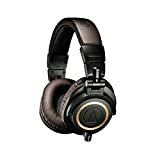 AUDIO TECHNICA - ATH-M20x Professional Monitor Headphones The Audio Technica ATH-M20x professional monitor headphones are a great introduction to the critically acclaimed M-Series line. Panasonic - Old School Monitor Headphones, RP-HTX7 Black Retro-style stereo headphones offer large foam earpads single-side cord and single-side monitoring. 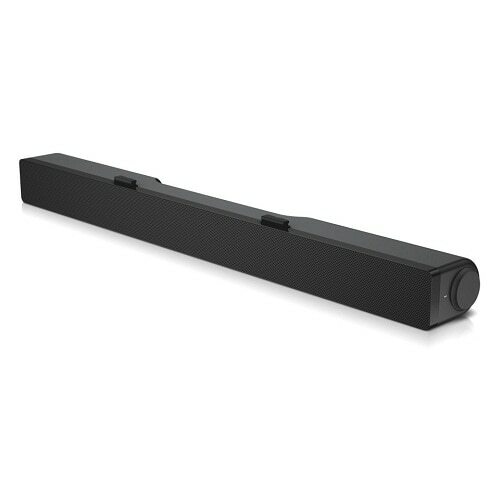 Large 40mm drive units deliver clear sound with powerful bass. 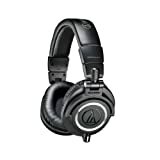 PreSonus - HD9 Professional Monitoring Headphones that are Comfortable Lightweight Precision-Tuned and Closed Back. Sony - MDR-V55/BR DJ Style Headphones MDR-V55/BR Bring some attitude to your on-the-go music experience with these studio monitor DJ style headphones.
. - DJ Style Headphones Bring some attitude to your on-the-go music experience with these studio monitor DJ style headphones. 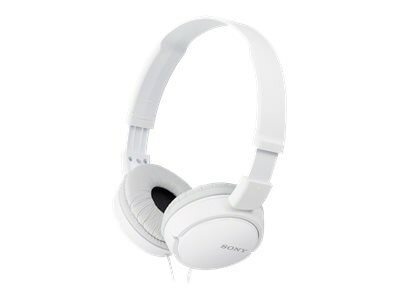 Sony - MDR-V55/WHI DJ Style Headphones MDR-V55/WHI Bring some attitude to your on-the-go music experience with these studio monitor DJ style headphones. Sony - Studio Monitor Type Headphones MDR-V6 MDR-V6 Listen to high fidelity sound when you slip on the powerful professionally-styled MDR-V6 studio monitor headphones. 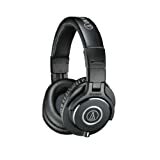 AUDIO TECHNICA - ATH-M50x Professional Monitor Headphones As the most critically acclaimed model in the M-Series line the ATH-M50 is praised by top audio engineers and pro audio reviewers year after year. Sony - Studio Monitor Headphones for iPod DR-ZX701IP DR-ZX701IP Experience rich full sound while you're on the go with these professional Studio Monitor Series headphones featuring in-line remote control and a built-in microphone. Margaritaville - On-ear Monitor Headphones with Microphone They may see you coming before they hear you. These headphones are ideal for anyone who lives in the spirit of Margaritaville. 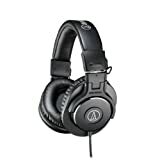 AUDIO TECHNICA - ATH-M50 Professional Studio Monitor Headphones (Wh With the ATH-M50 professional studio monitor headphones Audio-Technica has achieved an exceptionally accurate response and long-wearing listening comfort. beyerdynamic - DT770 PRO Closed Reference Headphones, 80 Ohms Closed reference headphone for control and monitoring applications. Mackie - HM-400 4-Channel Headphone Amplifier The Mackie HM-400 4-Channel Headphone Amp is perfect for studios practice spaces live performances and anywhere that requires personal monitoring. beyerdynamic - DT 100 400Ohm Dynamic Closed Studio Headphones, Gr The DT 100 series is used throughout the world for audio recording and monitoring in studios news gathering film and TV production and live events. The headphones are exceptionally comfortable with a soft headband and ear pads. Sennheiser - HD 300 PROtect Monitoring Headphones The HD 300 PROtect combines advanced protection from peak levels with incredibly detailed sound and an exceptionally high level of wearing comfort. This makes it a reliable tool for demanding productions. Sony - Professional In-Ear Headphones MDR-7550 MDR-7550 The MDR-7550 is a high quality in-ear monitoring headphone (IEM) for live stage use. Numark - Mixtrack 3 DJ Package This Sam Ash Exclusive Package offers the Numark Mixtrack 3 DJ Controller a pair of Samson Media BT-3 Bluetooth monitors a Samson M1 dynamic microphone and a pair of Samson stereo headphones! Numark - Mixtrack Pro 3 DJ Package Includes Numark Mixtrack Pro 3 DJ Controller Samson Media BT-4 Monitors Samson M1 Dynamic Microphone and Samson RH100 Stereo Headphones. 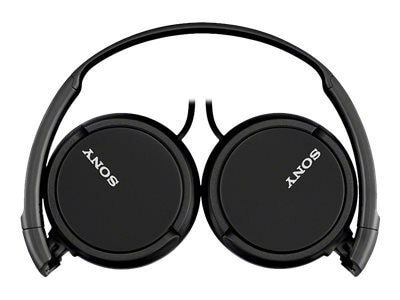 Sony - MDR-7520 Professional Studio Headphones MDR-7520 The MDR-7520 is a high-quality studio headphone for critical listening pro applications including studio and broadcast monitoring.